The Internet of Things (IoT) is making parking in major cities a lot easier. IoT parking solutions provide information such as available parking spaces to connected users. Information is collected, analysed and personalised for users in real-time. Intelligent parking, as well as traffic monitoring, has helped to reduce congestion and improve traffic mobility, in major cities in Europe such as Barcelona and Madrid. County councils are investing in technology to help reduce pollution and increase traffic throughput in major cities. 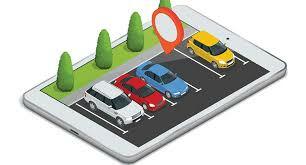 Intelligent parking apps are available to keep commuters informed of available parking spaces in their area. Less time spent in vehicles helps to improve the productivity of commuters and the lower volume of traffic circulating helps to reduce the number of road accidents. A high volume of vehicles circulating at low speed creates traffic congestion, which contributes to higher levels of gas emissions. More fluid traffic helps to reduce fuel consumption and the build-up of road traffic air pollution. Councils are partnering with Solutions Providers to help reduce pollution and improve traffic flows in major cities. Specialists are providing solutions for public and private car parks to help users park and pay for parking more efficiently. Jola provides a range of cost-effective 4G M2M SIM packages, which are managed and monitored to avoid bill shock. If you are working on a smart parking proposition and looking for a better way of managing your 4G estates, request our partner pack.